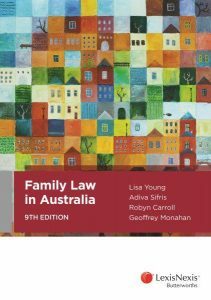 The most comprehensive evaluation of Australia’s family law system – drawing on the experience of 28,000 Australians – has found that overall the recent reforms are working well for the majority of children and their parents. “There’s more use of family relationship services, a decline in court filings and some evidence of a shift away from people going straight to court to resolve post-separation relationship difficulties,” said Australian Institute of Family Studies Director Professor Alan Hayes. However the Institute, which conducted the evaluation of the 2006 family law changes, found significant concerns about the reforms’ impact on families and children who are exposed to abuse and violence. The three year long evaluation is the largest examination of the family law and service system yet undertaken, and shines a light on how families and children fare through the system when families break-up. “More than a million Australian children currently live in separated families,” Professor Hayes said. “The way in which separated couples resolve parenting arrangements, make decisions about their children and conduct their relationships all have significant and lasting impacts on their children’s lives for better or worse depending on how well they manage post-separation parenting. Professor Hayes said that overall, the reform goal of getting separated parents to work things out for themselves is being achieved, with most separated parents resolving their parenting arrangements within one year and without the use of the legal system. “This is evidenced in a reduction in child-related parenting matters reaching court, with a fall in applications for court orders and a greater proportion of parents reporting they were able to resolve their issues themselves, supported by the new family relationship services,” he said. However for a substantial proportion of separated parents, there is evidence of significant family dysfunction: violence issues, safety concerns, mental health and substance misuse. And for children whose parents have concerns about the safety of their child or themselves from ongoing contact with the other parent, shared care-time arrangements exacerbate the negative impacts on children. “The evaluation provides clear evidence that while there have been some positive developments, the family law system has some way to go in effectively responding to family violence and child abuse, mental health and substance misuse. “Where there were safety concerns reported by parents, these were linked to poorer outcomes for their children in all types of care relationships, but for those in shared care time, it was even worse. This is a small but extremely significant minority. “All professionals should exercise great care in considering shared care where violence and safety concerns for the child exists,” Professor Hayes said. There is a need for professionals right across the system to have greater levels of access to finely tuned assessment and screening mechanisms by highly trained and experienced professionals. And important information about child safety and family violence needs to be more effectively shared between professionals including those in family relationship services, lawyers and the courts. The evaluation found evidence that many parents misunderstand the changes to the family law system, believing that equal shared parental responsibility (shared decision making and financial support) allows for equal shared care – or 50/50 time. This can make it more difficult for parents, relationship services professionals, lawyers and the courts to get parents to focus on the best interests of the child. “This misunderstanding is due in part to the way the notion of shared parental responsibility is expressed in the legislation. It has led to disillusionment among some fathers who find that it doesn’t automatically mean 50/50 care time. And indeed, the law was never intended to provide for shared care time in cases where there are safety concerns. “Lawyers in particular have indicated that the 2006 reforms have promoted a focus on parents’ rights rather than children’s needs and that the family law system doesn’t do enough to support arrangements that are suitable for a child’s particular level of development. “The evaluation has highlighted the complex and varied issues faced by separating parents and their children and the diverse range of services required in order to ensure the best possible outcomes for children. While there are many perspectives within the family law system, and conflicting needs, it’s important to maintain the primacy of focussing on the best interests of children,” he said. 26 per cent of mothers and 17 per cent of fathers reported their partner had physically hurt them before or during separation. Who Gets to Spend Christmas Day with the Children?